The men will have had their fun on the 18th May – this time its the ladies turn! On Saturday 8th June our annual mums’ / grandmas’ / auntie’s FoMPS Yomp will be taking place. This event is always popular so please don’t leave it til the last minute! Thanks as always for your support. 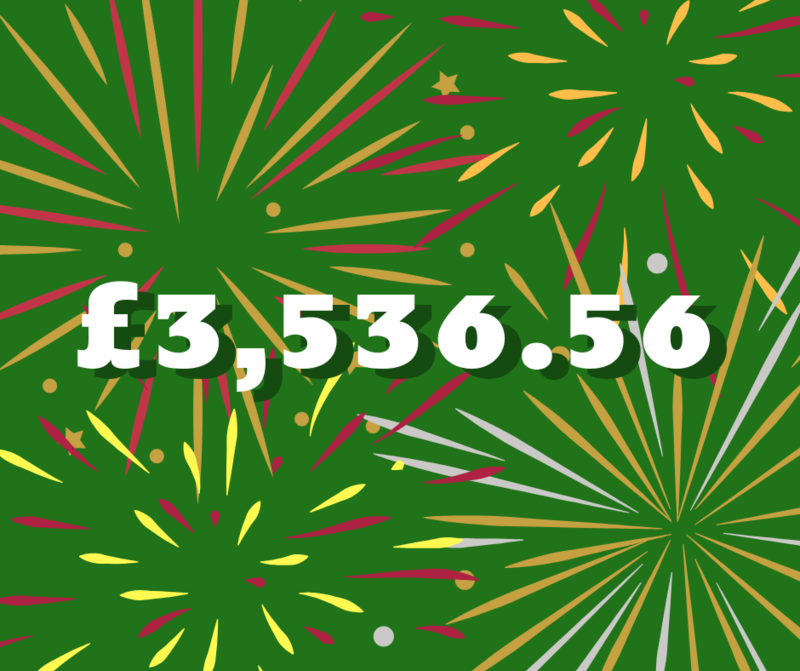 Well, after all the hard work, volunteer hours and contributions of cakes, jolly jam jars, and raffle prizes, we are thrilled to announce that the fundraising total for the Christmas Fayre on 1st December reached a whopping…. We can’t say thank you (and a well done) enough! This year’s fayre made £1,072.96 more than last year. 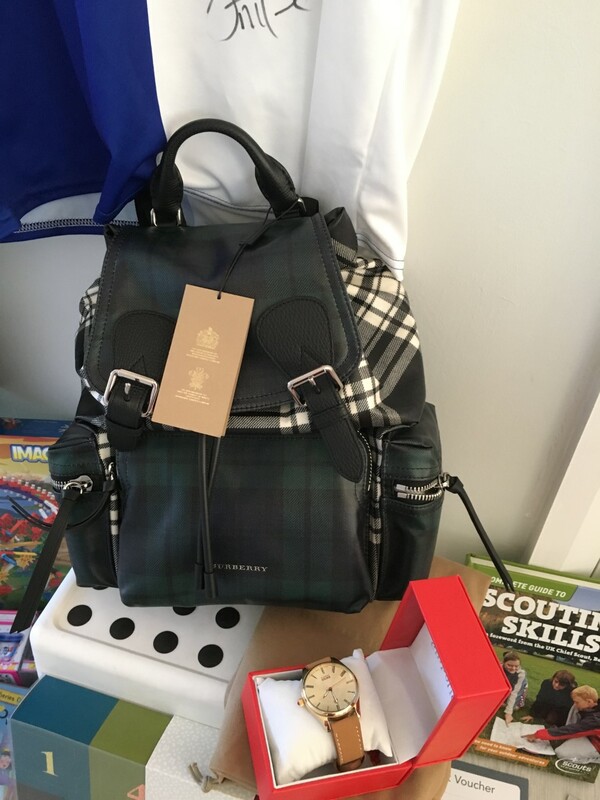 The big bonus this time was a huge increase in raffle ticket sales (apparently you lot LOVE a bit of light gambling!) which contributed over £1500 towards the grand total. Because of the generosity of much of the Foundation and KS1 parents, we were also able to donate a huge amount of mince pies and other boxed cakes to Leeds homeless charities via one of our kindly Menston residents. enhancements to school resources & curriculum. Important Note: One large longer-term aim is to help raise some funds toward a crossing on Main Street outside the school and close to the Coop. Many of the parents in the village will have experienced running the gauntlet that is crossing the road to get to school around 9am. Despite bumps and traffic calming measures we still feel it’s vital that we have some safe crossing provision here. Please add your vote the petition to get a crossing installed by completing the form here ow.ly/tv8c30mYp9Q . It takes a couple of minutes to do and we would appreciate your vote adding to the others that have already signed it. Finally, we want to wish everyone a Happy Christmas and a prosperous New Year. Enjoy the well-earned break and we will be back in 2019 with more fun and frolicks for the Spring & Summer to come! All aboard the Pizza Train! We’re pleased to announce a new dining experience will be coming to Menston on 16th March to feed all the hungry tummies at the talent show. Pizza Loco will be joining us to dish out their delicious 10″ Neapolitan wood-fired pizzas, cooked in the firebox of their Pizza Locomotive (mmm hmm, you read that right). All come with child-friendly, vegan and veggie topping options. Or you can stick with your meat feast smothered in cheese, that’s fine too. Or you can pay cash on the door for pre-booked tickets. We request that you book your tickets ahead of the day as spaces are limited and we don’t want anyone to be disappointed! Get your score cards, dancing shoes, and buffet pants at the ready – it’s going to be a great night! …And we’re not afraid to show it! Talent Show & Disco – show us what you’ve got! Payment for Tickets is via Paypal (see above) or cash on the day. £3 Adults £2 children. Performers will need to be at Kirklands at 3pm on the day for a quick run through of the show. To be included please see details below for how to register. All children must have a responsible adult there with them. Doors will open to audience tickets at 4pm and the show will begin at 4.30pm. Afterwards there will be a disco with food and drink available to purchase. Tickets are priced at £3 for adults and £2 for children. Numbers are limited due the capacity of the community centre so please do book. 4. Approximate length of the act (acts should aim to be around two to three minutes in length). If you do not have email access, contact Naomi 07903 139630. 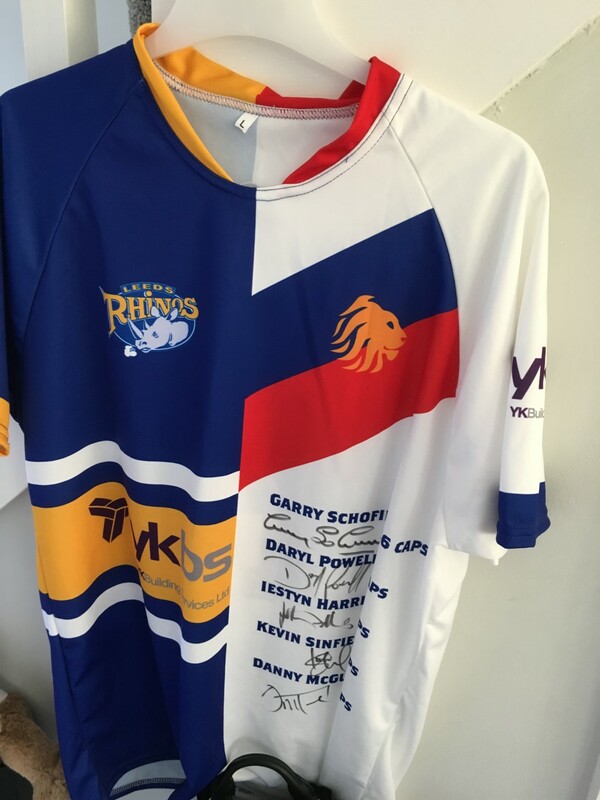 We’ve had a fantastic response from local businesses this year all wanting to support the School, so it seems only right that we give them all a mention! Perhaps more importantly we want to remind everyone to bring your hard-earned cash (or dare we say it; a cheque book) as there will be some fantastic stalls too. 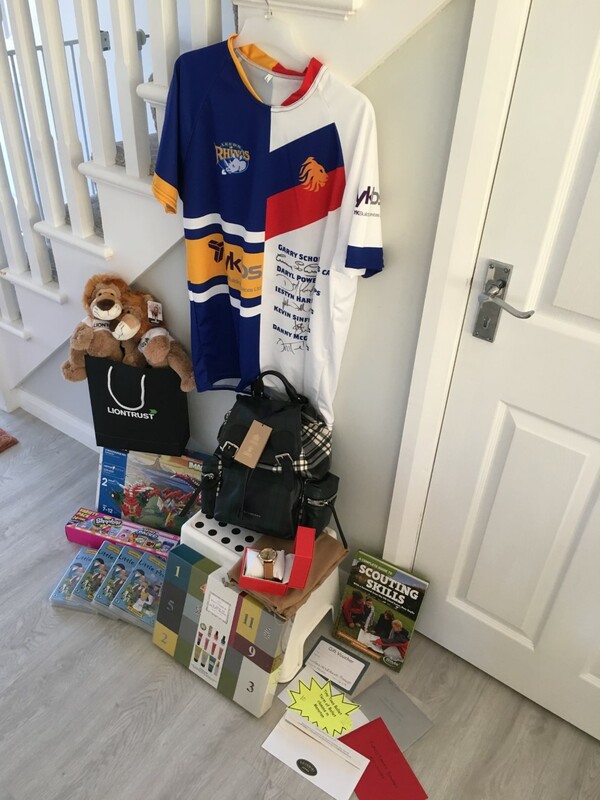 All of this is in addition to our original haul of prizes which includes a Burberry Designer Rucksack worth £800-£1000 (we know) a signed Leeds Rhino shirt, restaurant vouchers, beauty vouchers, family butcher voucher, luxury hampers, an advent Lego set and much more. Burberry, Ribston Pippin, Aspire To Be, Bettys, Seabrook Crisps, Kashmiri Restaurant, The Co-Op, Menston, Manning Stainton, Furniss Family Butchers, Jenna Beauty Lounge, Mighty Chefs, Sharon Kenyon(Tropic Products), Pyjama Drama, Menston Scouts, Steve Davey Photos,Menston Slimming World, Silver Birch Project, Refuel Café, Kashmiri Aroma Ilkley, DAH FP Ltd.
We can’t wait to see the faces of all the raffle prize winners on Saturday! Hello! Thank you for offering your time. Please click on the link below and put your name and number into the table to volunteer at the Christmas Fayre. We couldn’t put on any events without lovely parent helpers! For more info about what is needed, or if you have another way you would like to support the event then please contact Naomi on 07903139630.